Mississippi's diverse ecosystems take center stage in a Mississippi State University landscape architecture expert's new book about the Crosby Arboretum. 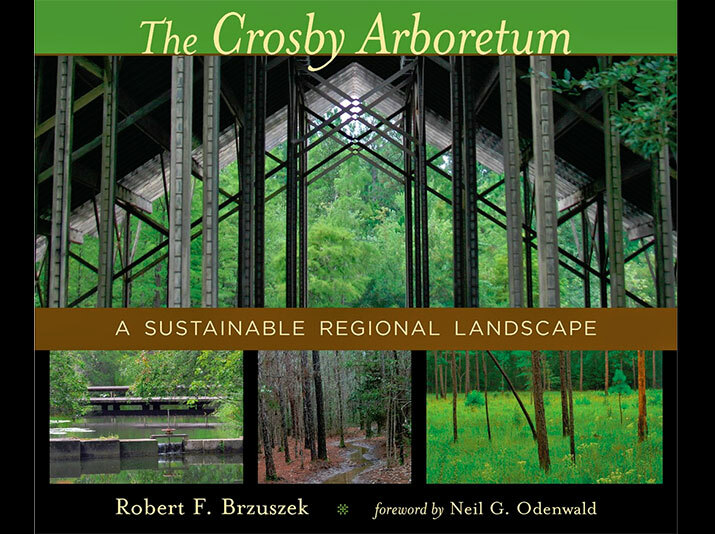 Bob Brzuszek, an Extension professor of landscape architecture, recently launched "The Crosby Arboretum: A Sustainable Regional Landscape," through the Louisiana State University Press. More than 20 years ago, when Brzuszek was a graduate student at LSU, he became involved with the arboretum's planning and development. After completing his master's thesis on the proposed exhibits for the site, he served as the Crosby Arboretum's site curator for 13 years. His book not only chronicles the property's evolution from agricultural site to award-winning arboretum, but also highlights concepts of sustainability and principles of native plant uses that can be applied in other landscapes. MSU's Crosby Arboretum is operated by the MSU Extension Service and is the premier native plant conservatory in the Southeast. The arboretum features a variety of plant communities that represent the native flora of the Pearl River drainage basin in Mississippi and Louisiana. These habitats provide opportunities for people of all ages to learn about nature through educational programs, tours and events. To read more about the book, visit the departmental blog site.